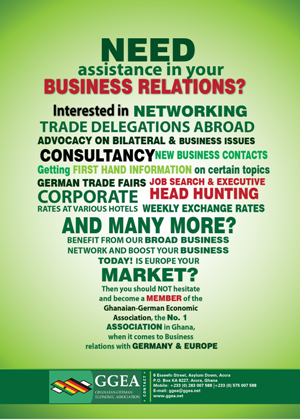 The Vice-president of the Republic of Ghana, Dr. Mahamudu Bawumia, has charged the Ghana Revenue Authority (GRA) to cast the tax net wider to rope in the many operators in the informal sector who are not tax compliant. Speaking as the Special Guest of Honour at the launch of the second edition of GRA’s Tax and Good Governance Week, 2019, under the theme: “File Your Tax Returns, Pay Your Taxes, Move Ghana Beyond Aid” he indicated that the realisation of government’s agenda of Ghana Beyond Aid, cannot be a success without effort by every individual to be tax compliant. “We were made aware that only 1.2 million people pay taxes out of the six million economically active population; with one million out of the 1.2 million being in the formal sector, leaving only 200,000 coming from the informal sector. These negative statistics and its implications for revenue mobilisation must be reversed the soonest. “One sure way of addressing the negative statistics is to cast the tax net wider to rope in the many operators in the informal sector who are not tax compliant,” he said. 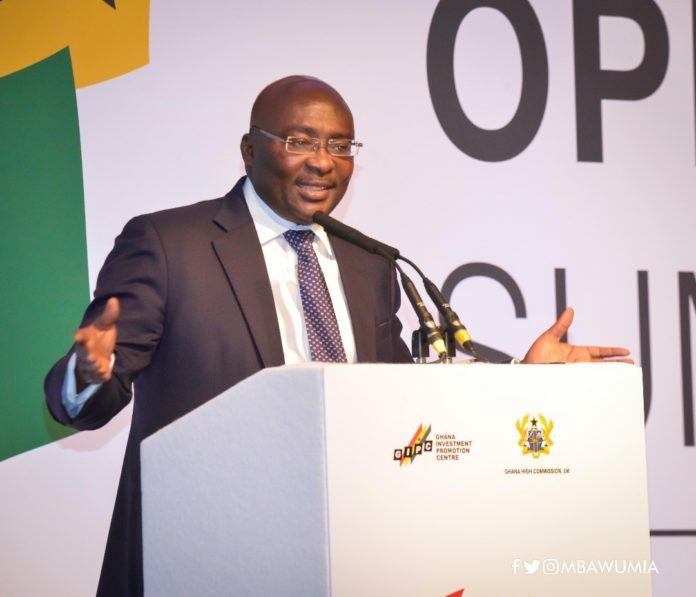 Dr. Bawumia further urged the Commissioner-General and his management to effectively use the about 8,000 NABCO interns recruited by the GRA, coupled with technology provided by the Digital Addressing System (DAS), to identify and locate existing and potential taxpayers to change the current narrative. “I am informed that GRA has been allocated about 8,000 NABCO interns. Having added 8,000 extra hands to the permanent staff of GRA, I believe the Authority will have no reason to repeat these statistics in the future on the grounds of inadequate staff to comb all commercial centres to locate potential taxpayers,” he indicated. The Vice-President, launched the Tax and Good Governance Week Programme concurrently with Integrated Tax Preparation System (iTaPS). iTaPS is a software that has been carefully designed and developed to give the taxpayer an easy and convenient way of fulfilling his or her civic responsibility of filing and paying taxes. Speaking about iTaPS, Dr. Bawumia said: “I have personally filed my 2018 returns through iTaPS and so has the Senior Minister and the Finance Minister. I wish to congratulate the management of GRA for these initiatives and encourage them to come up with more of such ideas to simplify the tax payment system and increase the pace of automation,” he stated. The Commissioner-General, Emmanuel Kofi Nti, stated that the celebration of the Tax and Good Governance Week is a collaboration between the Ministry of Finance and the GRA with the aim of drawing the attention of the public to the importance of filing tax returns, the payment of taxes and the benefits they stand to gain from the filing of annual returns. “I wish to remind the public that persons who file their tax returns stand to gain benefits such as: claim personal tax reliefs to reduce the quantum of tax paid; claim capital allowances on business assets; claim tax refund for overpaid taxes; and enable them apply for tax clearance certificate from GRA for various purposes,” he said. Mr. Nti, speaking to the newly-launched iTaPS software, explained that the software has nine modules namely: Annual Tax Returns (for individuals, partnership and companies); Tax Clearance Certificate (e-TCC); Withholding Tax Credit Certificate (e-Tax Credit); VAT Withholding Tax Credit Certificate (e-VAT withholding certificate); and Withholding Tax Exemption. Others are: Monthly & Annual PAYE Returns (Overtime, Bonus, PAYE Calculator); Personal Tax Reliefs; Decision Support Systems for Self-Assessment Estimate; and Business Records Manager (Electronic Bookkeeping). The Commissioner further hinted that GRA has also developed an electronic payment platform through which operators in the informal sector, particularly commercial transport operators and small scale self-employed persons on the tax stamp, will pay their quarterly taxes through mobile money. Minister for Finance, Ken Ofori-Atta, indicated that the rate of filing tax returns among corporate institutions is encouraging but same cannot be said about individuals whether as an employee or self-employed. He therefore hopes that iTaPS will motivate the later in filing their tax returns as well.